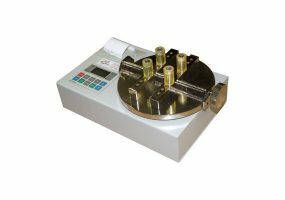 The ST Series Cap Torque Tester is metro logical instrument designed specifically for testing the opening and closure on bottles, jars, bulbs and more. It is compact, easy to use and fully rechargeable for portable use. 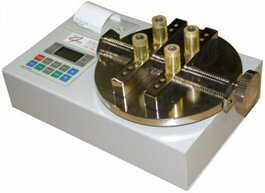 The instrument is designed for detecting and calibrating the power of open and close torque control for relative torsion torque testing and torsion fracture parts testing. 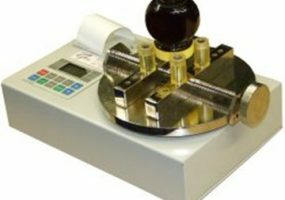 This offers a high accuracy and easy to operate solution for this type of application. The ST-10B has an RS232 port connector, auto shut-off and will measure a torque range of 0.005~10Nm (0.05~102 Kgf.cm) with an accuracy of +/-0.5%. 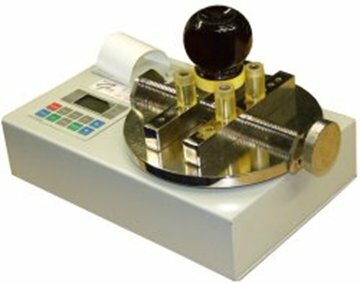 It comes supplied in a functional tool box complete with clamps, software, adjusting spanner, manual and calibration certificate. Adjustable upper and lower limit setting and optional alarm function. Memory function - auto calculate the average value. Measures in Nm, Kgf-cm and Lbf-in.